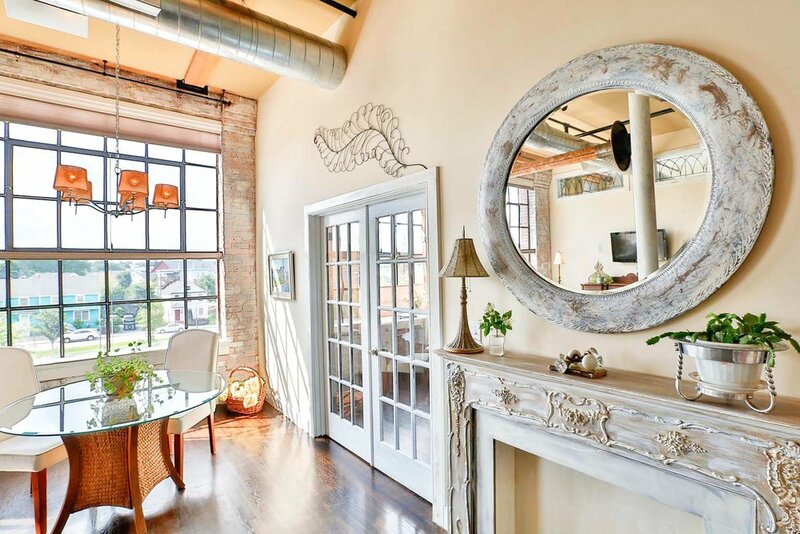 The interior design for this traditional loft is a work live space in former Lowell, Massachusetts mill that contains the American Textile History Museum. 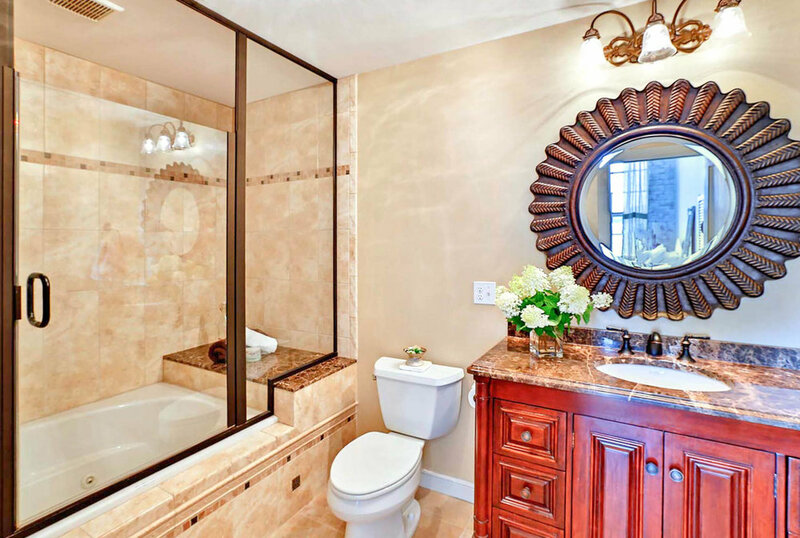 It's a new construction interior design project that was styled in keeping with the historic buildings look and feel. The open concept design has exposed brick, hardwood floors with a walnut finish, a built-in bookcase with desk. The living space contains repurposed and refined furnishings. The natural linen sofa is new and beautifully matches the stone top coffee tables. The kitchen has cherry cabinets in a mocha finish, prado brown countertops, crackle subway tile backsplash and Frigidaire stainless steel appliances. 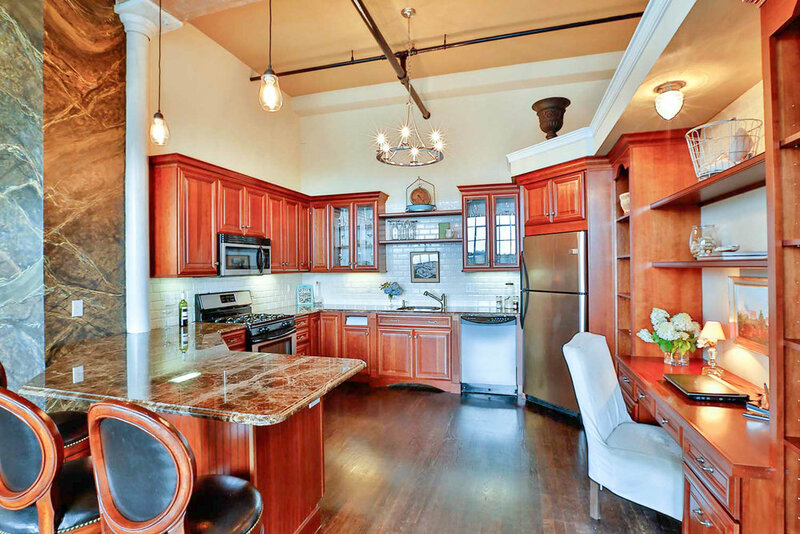 Open concept loft living with exposed brick, columns, and historical design elements. A contemporary open concept kitchen with marble countertops and a seating area. 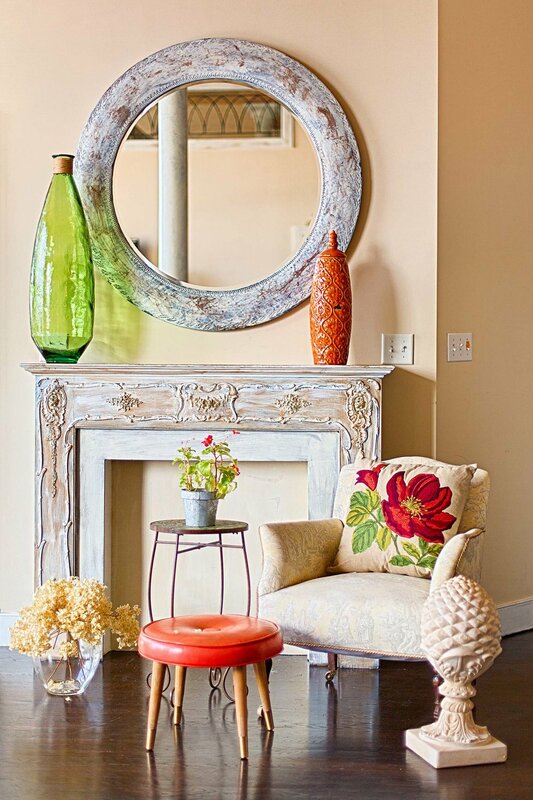 Industrial interior design with traditional accents like the fireplace mantel. 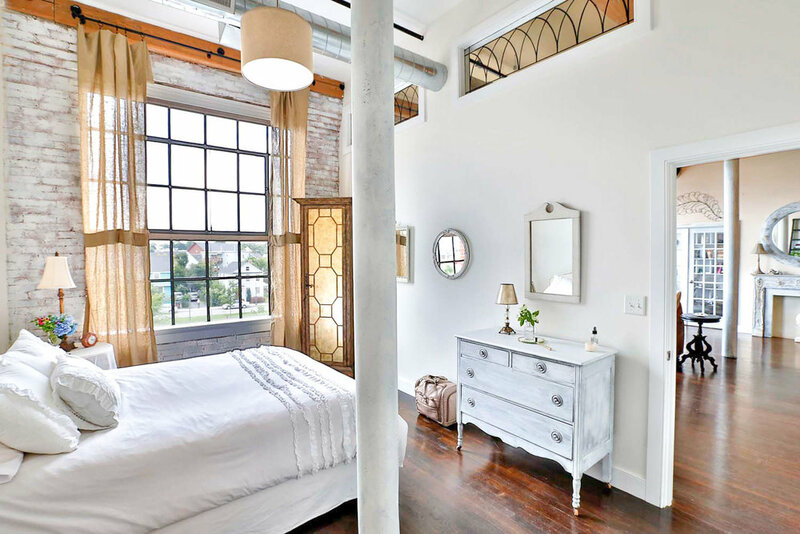 Residential loft space bedroom design in a soft white color palette. The open concept design has hardwood floors and built in bookshelves.